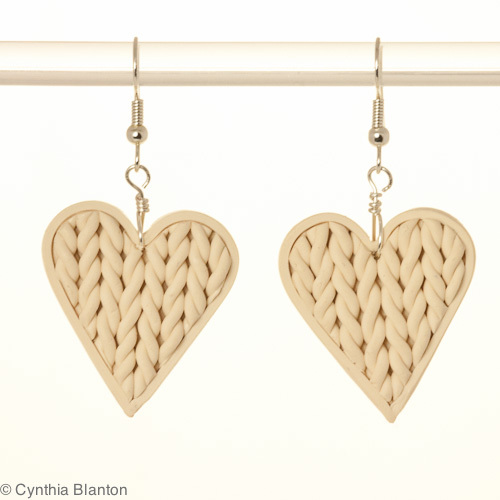 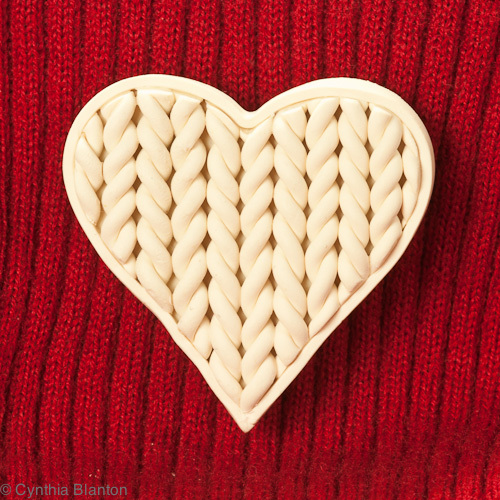 I love knitting in addition to making things with polymer clay, so why not combine them? The convertible brooch/pendant and earrings are not really knit - they just look like it. Thank you to Claire Wallis of England for her tutorial on this technique.